Denis Villeneuve’s new thriller finds him leafing through the Friedkin and Mann rule book, building character between punctuations of brilliantly well-crafted violence. 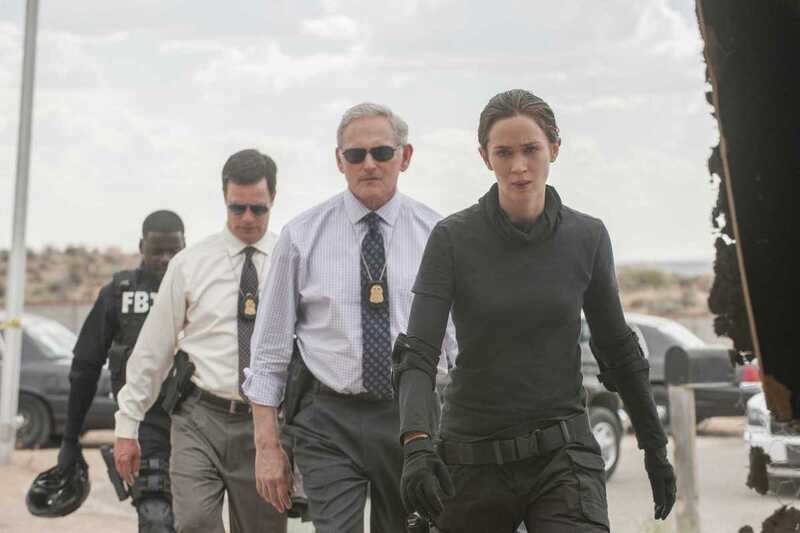 Emily Blunt plays an out-of-her-depth cop in cahoots with Josh Brolin’s breezy flip-flop-wearing captain of an undisclosed government task force, taken on to help bring down a Mexican drug cartel with the help of Benicio del Toro. Villeneuve’s second film with master cinematographer Roger Deakins, Sicario holds a myriad of cinematic moments, the most intense traffic jam ever, plus a night vision assault which feels beyond real. Some of the subtle world politics may be left by the roadside in favor of a well-oiled thrill machine, but at least this machine runs well into the red.